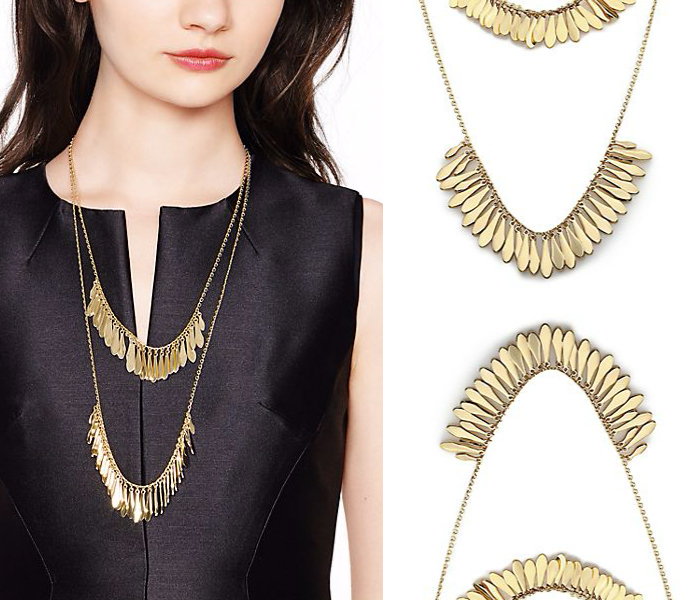 I’ve been a little bored with Kate Spade lately, but this layered necklace revived my love for the whimsical brand. The movement of the feathered fringe is a sophisticated take on this season’s flamingo items. 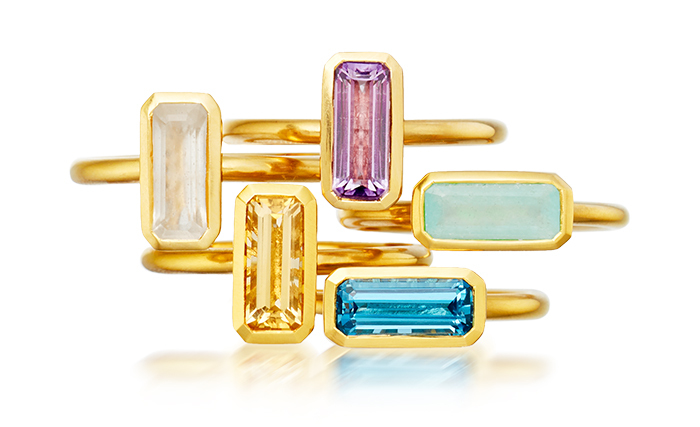 Gripoix is a new-to-me French jewelry brand that was founded in 1868 Augustine Gripoix. Instead of using gemstones, colored glass is set into intricate metalwork. This season’s designs, now available for pre-order, are heavily influenced by the Art Deco period. 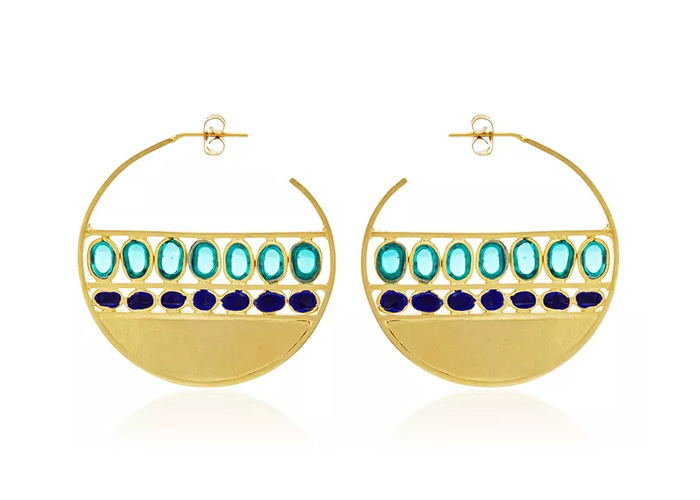 These hoop earrings are my favorite of the collection, but these are a close second. 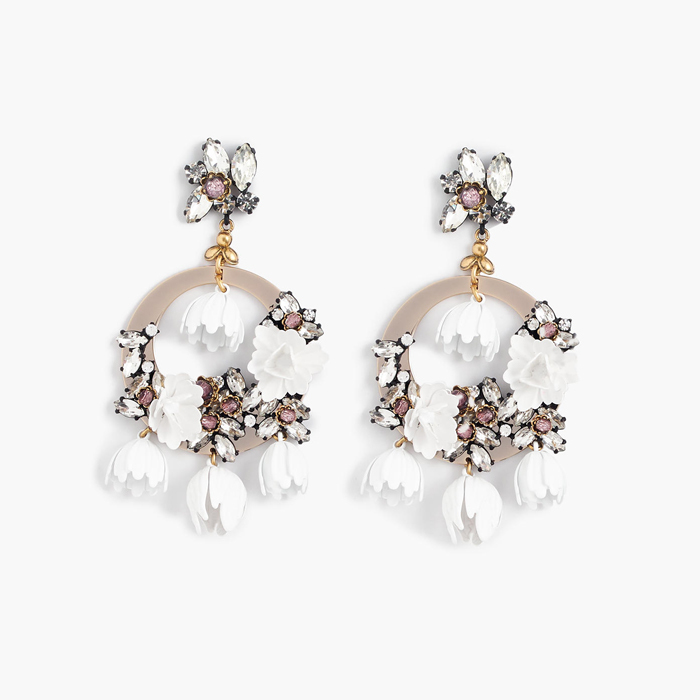 These are basically a garden party for your earlobes. They’re 30% off through the end of the day with code TIMETOSHOP, giving you a reason to celebrate. Enter to win a Mother’s Day charm necklace from Helen Ficalora. Enter here! 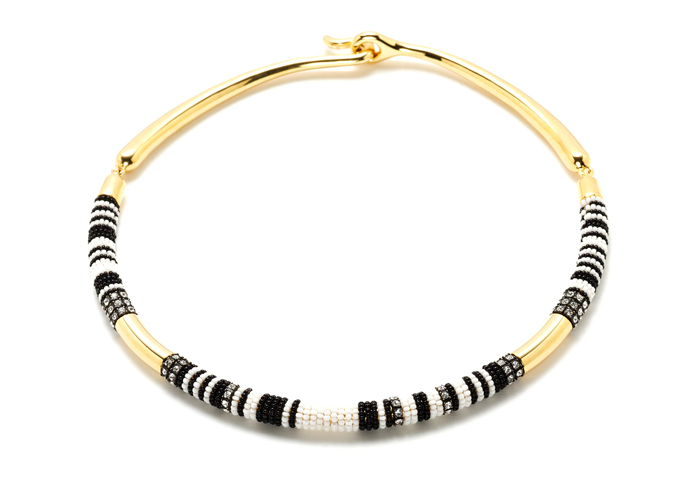 It’s difficult to create a minimal look with hundreds of seed beads, but J.Crew nailed it with this choker. I can see it peeking out from the collar of a white shirt (love this one) or layered with longer necklaces atop a breezy dress.